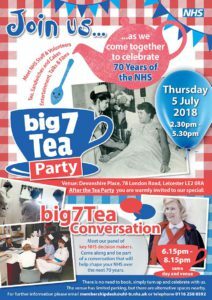 1 July 2018 – Radio Fox and all Hospital Radio stations across the UK have been asked by the team at NHS Voices if we can support their song which is being released on Friday 6th July to celebrate the NHS70 anniversary. On ITV1 on Wednesday 4th July at 9pm on there will be an attempt at a world record for the biggest singalong. Please tune in on the night and be part of this record breaking attempt. 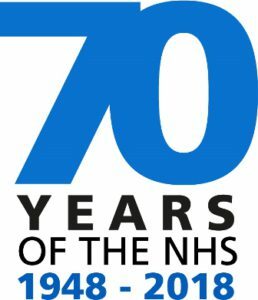 NHS Voices brings together superstar singers and healthcare heroes to create a special single that marks the 70th birthday of the NHS. Created by a team of NHS employees, this anniversary anthem gives everyone a chance to celebrate the dedication of healthcare staff. The choir have recorded the Beatles song, With A Little Help From My Friends. 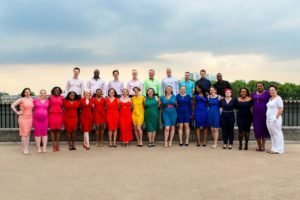 2 years ago, the choir had a Christmas No 1, and the same choir (from Lewisham and Greenwich NHS Trust) plus a collection of famous voices who will be joining them on the night, including Blue, Alexandra Burke and Tony Hadley. To be screened on ITV1 on Wednesday 4th July at 9pm on there will be an attempt at a world record for the biggest singalong. The event is also supported by other famous musicians. Be sure to tune in on the night. ITV will be releasing details of the huge nationwide singalong to launch the single shortly. The single With A Little Help From My Friends will then be released on 6th July 2018 to celebrate NHS70, and all proceeds will go to NHS Charities Together. Radio Fox would like all its members and many friends in Leicestershire to support this event.